Let bridal jewelry from ORRA be the high point of your look for the pheras. Indian weddings come with a host of functions packed with bundles of cheer that precede the D-Day. The pheras, however, are the reason behind all the festivities; therefore, the look for this ceremony ought to be the most striking! One of India's finest jewellery brands, ORRA’s speciality lies is in creating exquisite designs that offer impeccable quality. Owing to their rich diamond heritage and endeavor to keep up the times, they craft pieces that cater to the contemporary Indian bride. From jewels that are inspired by modern trends to those that are an interpretation of the classic styles, the brand covers a spectrum of moods and aesthetics in order to offer a diverse and unique range of products. ORRA sets the finest diamonds in the highest quality precious metals, which together lend to the ornaments unmissable brilliance and luster. Be it elaborate necklaces, sparkling solitaires, bold cuffs or more, the brand has an unending collection of dazzling jewellery that will elevate your bridal look. In WeddingSutra’s latest edition of Style Spotting, we collaborated with ORRA in order to create stunning looks for brides-to-be Sneha, Aditi, and Pallavi. The girls were dressed in fabulous outfits from Dolly J, Tamanna Punjabi Kapoor and Chamee & Palak after which makeup artists Safa Malim and Johaann Arora made use of their expert skills to transform them into pretty brides ready to say ‘I do.’ The numerous picturesque spots at JW Marriott Mumbai Sahar made for remarkable backdrops as the girls posed in front of the camera and the joy and enthusiasm that surrounded the day was amplified by Happyframes’ beautiful clicks. The mention of an Indian wedding is bound to bring images of a bride donning beautiful jewellery that is paired with a breathtaking red lehenga. 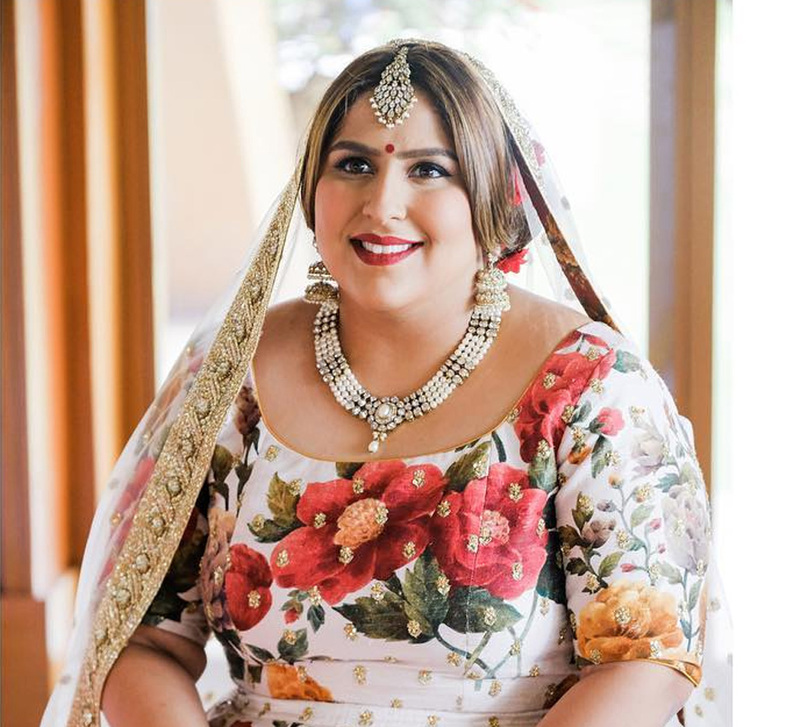 Charmed by ORRA’s Saptapadi Collection that is representative of the seven vows, bride-to-be Sneha chose a necklace from the range that features a floral motif in the center and layered that over a haar set that had leaf-like details on the chain. She ensured that her jewellery was in complete harmony with her red Dolly J lehenga by selecting pieces that were encrusted by delicious rubies. The velvet fabric of the outfit lent to the look a certain richness while the floral details brought in a romantic dimension to it. A maang tikka, nath and some sparkling bangles, which were each selected from the Saptapadi Collection, completed her look. A necklace from the Falaq Bridal Range that was evocative of stately charm was the one that bride-to-be Aditi took a liking to. The collection is inspired from the magnificent union of the night sky with the time of dawn and of the fading moonlight and scattered stars with the fresh rays of sunlight. The structured design around her neck was fringed with drops of diamonds and this graceful necklace set by ORRA was the focal point of her look. A drop shaped maang tikka peeped through her romantic hairstyle and jewellery went well with a billowing Tamanna Punjabi Kapoor lehenga colored in a muted pink and golden palette. Fit for a princess, this look was complete with a selection of dazzling bangles and rings. 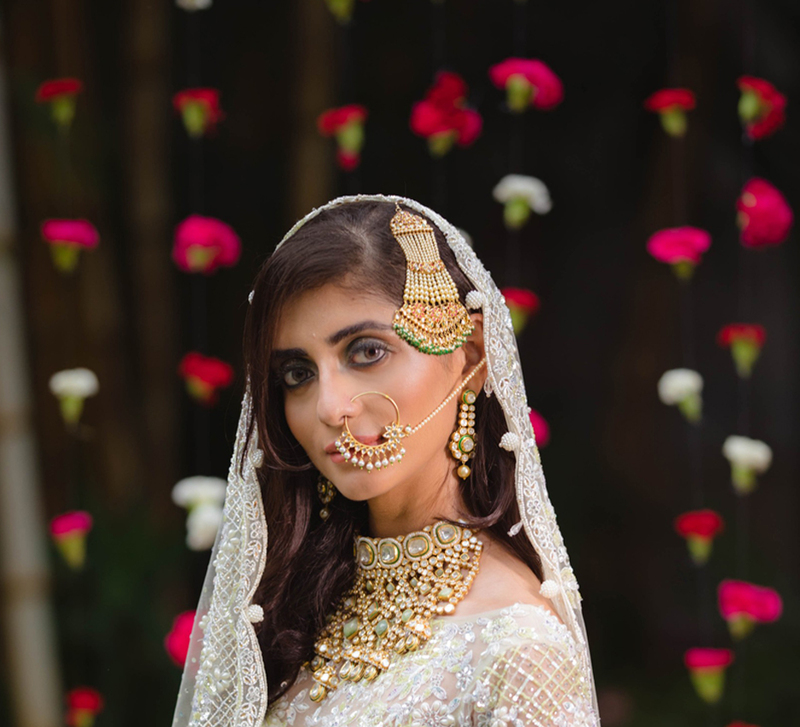 A bride-to-be whose style was reflective of a blend of modern and conventional aesthetics, Pallavi chose for herself an elaborate choker from ORRA’s Saptapadi Collection that revealed up to date geometric details. With rows of marquees borders accommodating sparkling round diamonds, this neckpiece was made for a fashionable choice that was the perfect match to the ivory lehenga by Chamee & Palak. The lehenga showcased fine embroidery using pink and green threads that were offset by the muted fabric. 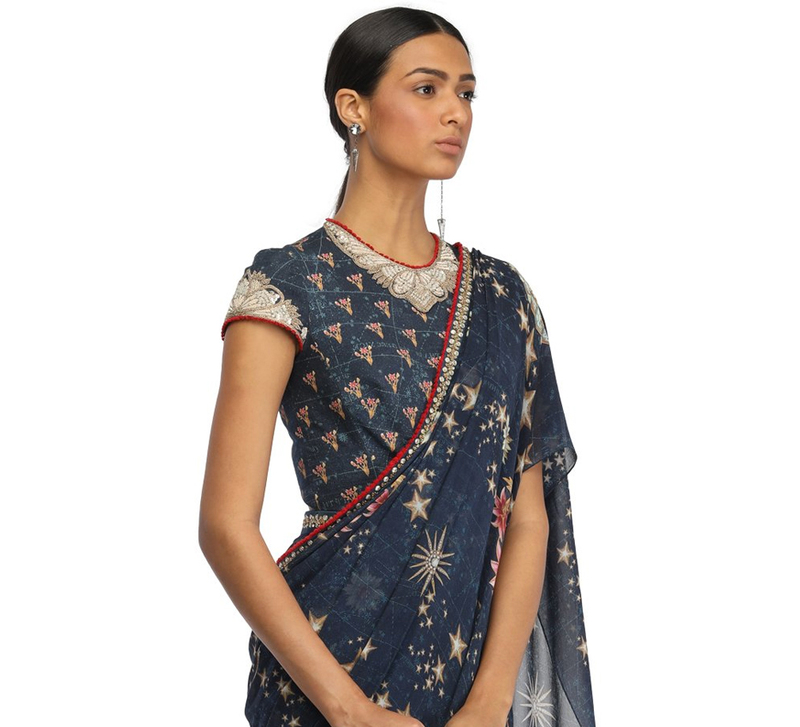 The blouse, on the other hand, bore floral motifs in a sparkly avatar that were created using gota, zardosi and sequins. The necklace set by ORRA was paired with cocktail rings and bangles. For the finishing touch, a nath was added to the mix.